Since the 1970’s, health practitioners in Europe and Asia have been prescribing serratia peptidase enzyme, commonly known as serrapeptase, for effective treatment of arthritis, fibrocystic breast disease, carpal tunnel syndrome, and other inflammatory conditions. In Europe, serrapeptase has also been used to treat arterial blockages due to its ability to alleviate arterial inflammation and dissolve blood clots and arterial plaque. Serrapeptase’s healing repertoire is impressive, including the digestion of non-living tissue such as dead cells, cysts, scar tissue, as well as the reduction of most forms of inflammation. Serratia peptidase helps to expectorate mucus and encourages normal mucous levels in the sinus cavities and lung tissue. Besides reducing inflammation, swelling, and mucus excess, one of serratia peptidase’s most profound benefits is the reduction of pain, given its ability to block the release of pain-inducing amines from inflamed tissues. There are more than four million people in Canada with arthritis, and this number is expected to double by 2030. Most Canadians with arthritis are of working age and in the prime of their careers – between the ages of 20 to 64. (1) For the millions who take anti-inflammatory medications to relieve pain or to promote cardiovascular health, the enzyme serrapeptase shows great promise. The search for a superior enzyme that offers safe but powerful anti-inflammatory properties, thus averting the destructive side effects of anti-inflammatory drugs, ended with the discovery of serratia peptidase in the early 1970’s. It is now in wide clinical use throughout Europe and Asia as a viable alternative to salicylates (ASA), ibuprofen and the more potent prescription NSAIDs (Naprosyn, Voltaren, Indocid, Anaprox, Celebrex etc…). Serratia peptidase is devoid of any serious gastrointestinal side effects. This enzyme has not been shown to cause ulcers or stomach bleeding, and offers North Americans a sensible alternative to NSAIDs. Now, Prairie Naturals offers Serra-Force, an enteric-coated pure serratia peptidase enzyme preparation, with no excipients or other fillers. A simple vegetable capsule filled with one powerful natural ingredient, the enzyme serratia peptidase – that’s it. 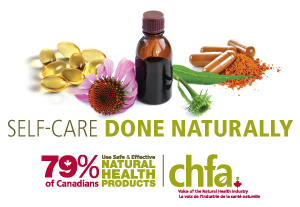 Prairie Naturals is a privately owned, Canadian family business headquartered near Vancouver, BC, Canada whose core business is the research, development, marketing and distribution of more than 150 premium quality nutritional supplements, natural hair and natural body care products. Prairie Naturals makes products designed to help you “Live the Healthy Life”. Learn more a prairienaturals.ca.